You have bought your Air Asia ticket sometime ago. Somehow at the point of purchasing the tickets you did not think that you would require any luggage. Or you overlook to click the luggage option. Anyhow, you need to buy luggage now. The problem is, you did not purchase the Air Asia ticket by logging in via your Air Asia account. So what is the solution? If you have purchased your ticket by logging in to Air Asia account, then the solution is quite straightforward- login again (your id is usually your email address) and go to ‘Manage My Booking’ tab to add on to the luggage. It is much cheaper to add on before you fly. If you only add your luggage when you want to check-in, be prepared to pay like RM20 per kilo or more. Now, if you just book your flight without logging in, how do you buy luggage then? You can’t just call Air Asia. So what to you do? No worries. Your solution: Go to https://www.airasia.com/ot/en/contact-us/airasia-live-chat.page and chat with a staff there. Years ago, the chat was not 24 hours ….they finish around midnight. I am not sure if it is still the case now. But before that, you would need to have the full itinerary with you- name of the person travelling, booking number, etc AND your Air Asia login user name (your email address that you use to login to Air Asia website). If you do not have an Air Asia account, create one. Then get assistance from the staff to just link that booking number to your account. Previously someone in my office encountered this problem and I suggested he tried that option. He told me he was in the queue as #200 and expected wait time was 52 minutes. Well, I told him to chill and just wait. He did and was doing other work. After he managed to get to chat with a staff there, the staff assisted him to link the booking number to his account. From there, he login and added luggage kilo for the flight. This is a personal blog and I am NOT affiliated with Air Asia, neither am/was I a member of their staff. Therefore, I am not able to provide any technical assistance (such as linking your account or checking your flight status or confirming if you would get accepted to the flights). At most, I can only provide advise based on my past travel experience with them. hi i just done an dmake payment for my booking xxxxxx from KL to Yangoon on 10/09/2017 1750 till 1900 but i’m forgot to buy luggage i want 30kg so what should i need to do? Please create an Air Asia account, then go to AskAirAsia and get them to link the booking number to your account. After the staff have linked for you, you need to login to that Air Asia account and add the luggage manually. Another alternative is to visit the Air Asia ground offices which they can also add the luggage for you manually. Note: I have edited your flight number to protect your privacy. …my account in air asia member is already activated when i try to log in, i cannot access my account and it will show in the link that my account is already activated. I noticed the Air Asia chat is not working with an error message that they are experiencing high volume of traffic. But if I am not mistaken, their chat is not 24 hours….my previous experience is that they finished at 12am. I knew because I was the 46th waiting on the queue when they cut me off abruptly at close to midnight. As it is now past 1am Malaysian time, you may need to try again after 8am or 9am. If you book your ticket earlier without using your Air Asia id, then you need to create one. If you cannot access, what is the error message? Could it be a system maintenance (usually would not take long)? Else you can try to opt for the password reset option or create a new one using a different email address. If you cannot get hold of a staff, once you fixed your Air Asia account login problem. If all else fails, then please reach out to them via Social media like their Twitter account. Hopefully your problem can be resolved. Can I pay money to airport for Laggege? If you pay at the airport, it would cost you about RM20 per kg (the price few years ago). For example if you have 20 kg of luggage, then you would need to pay RM400 if you are checking in the airport. But if you add on to your air ticket prior to your flight, the price is very much lower. Hi, I have been unable to change my baggage weight from 20kg to 40kg due to an error on website. It is now almost 49 hours to departure. Will I be able to add weight after is it less than 48 hours? Will the charges be higher then? Currently it shows as USD 44. Have messaged to AirAsiaSupport via Twitter about an hour ago. No response yet and am worried. i already book a ticket but forget to upgrage my luggage..
week after i was able to modify it..but unable to pay the amount. can i pay it in the airport before checking in? You need to send message to Air Asia either via Air Asia chat or fill up a eSRF form to get them to link the booking number to your Air Asia account. I am not sure about this- but I suspect you would not be able to amend the baggage size after booking via online. The error message is probably due to their system already detected that you had a baggage booked hence they do not allow a ‘duplicate’. I do hope you would be able to get reply from their team. If you pay at the airport before checking in, the price would be charged at RM20 per kilo (that price was a few years ago and probably have increased by now). As my reply to Nihaz below, I suspect there is no option in self service to amend the baggage amount after you have booked it unless you get help from one of their staff. Hi, want to ask my contact details person name and gender are wrong . It will affect my flight ticket or not? Hi Jes, airlines would send information such as change in flight schedules to the contact person. If the contact person details (ie email and mobile) is correct, you can still receive the notification. Contact person is different from the name of the passenger travelling on the flight. In terms of gender, it is dependant on the check-in staff’s discreation. Technically in their T&C, the airline reserves the right to reject any wrong info provided. However, if the name of the person in the flight is wrongly updated, meaning person travelling has a different name than the originally traveller name booked in the ticket, then not only Air Asia but all airlines would reject. I remember reading Air Asia having strict requirements with regards to the name. You would need to get in touch with Air Asia directly (example via their chats) to clarify further. I have a ticket to KL on 25/11/2017 without luggage . 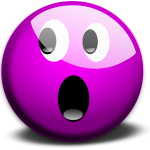 Hi…..i booked my air asia ticket through a website called Ctrip in China. As my name was too long i was unable to type in my complete name. So the website suggested me to either omit my middle name or just type the initial for my first name. So i just put my initial K for my first name. Will i face any problem while check-in? If you book with a registered id, you should be able to add under “managed my booking”. If you book without logging in as a registered user, then you need to contact Air Asia and get them to tag your booking id to your id (if you are not a registered user, you need to register). The reason airlines decline the check in is not because they are trying to be difficult, but because it is seemingly obvious that a different person showed up to check in. This would be a question that I am not able to give you the answer because it is subjective as I do not work with Air Asia. My suggestion is you print out the excerpt of the website (intact with the site’s url or if the site url is too long, then you screen shot and also copy and paste the url on the page) that gave you the advise to omit your middle name/type the initials. If possible, also prepare your transaction reference (for example a screenshot of the airline booking trxn of the credit card via your bank’s online banking)….to show that you made payment to the ticket (your Air Asia itinerary would have indicated the pricing and date of booking which would match your bank’s statement). You don’t need to show these documents upfront… but do it only if the staff started looking uncomfortable to let you check-in. My family and I bought ticket to go to Bali on 26th December 2018, kindly help us to purchase baggage for us. 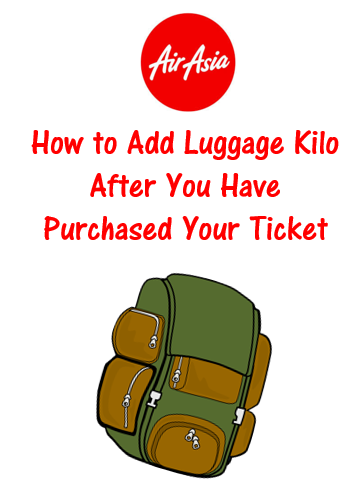 You would need to contact Air Asia directly to add luggage to your ticket.